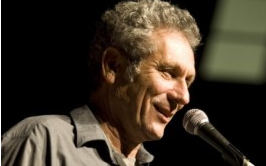 Orlee joined Rimon as the Chief Administrator, with a shared vision of creating an artistic space for the developing genres of contemporary music styles, in Israel and abroad. Orlee graduated from Tel Aviv University with a B.A. in theater, stage, and design. After graduating, she spent time in New York working for the Israel Broadcasting Authority. Four years later, she returned to Israel to work on costume and set design for Haifa Theater Productions and the famous Bat Sheva Ensemble. She advanced to working in the television industry including working on the popular show Krovim Krovim, before 1984 when she embraced the opportunity to found, build, direct and get involved in other various positions in the Rimon School and community. Orlee has been a profound influence in creating the environment which encompasses the needs of every modern-day music student. 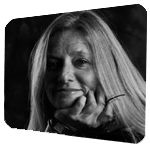 From the beginning, she has been dedicated to building the musical foundation of Rimon, ensuring a quality education based on unique values that pertain to the dynamic Israeli culture of innovation and creativity. Today, she upholds this responsibility, as Rimon continues to flourish and gain international recognition. Amikam Kimelman wears two hats at Rimon. As an administrator, he concentrates on the concerns and direction of the students at Rimon and as a teacher, he brings years of playing experience along with substantial academic credentials. Along with being a saxophonist, Amikam is also an arranger and producer. Amikam is a graduate of The Rubin Academy of Music at Tel Aviv University and Berklee College of Music in Boston. 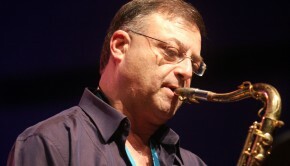 Currently, he is the music director of The Tel Aviv Jazz Orchestra, and leads “The Human Factory” Quintet as well as the “Hard Jazz Knights” group, which has performed in festivals includingGrahamstown (SA), Almati (Kazahstan), Baku (Azarbaijan), EU Jazz Express (Hungary), Essen (W. Germany), as well as in Israel. Amikam performed with Lew soloff, Joanne Brackeen, Jeff Berlin, Lew Marini, Sheila Jordan, Jean Loup Longnon, Inaki Sandoval, Mike del Ferro, Franck Amsallem, and the New York Voices. He has arranged and composed for The Israel Philharmonic Orchestra as well as top Israeli jazz, pop, and rock stars including Rami Kleinstein, Shalom Hanoch, NuritGalron, AlonOlearchik, Yehoram Gaon, Marina Maximilian Blumin, and Gidi Gov. Amikam is also an arranger for TV and major musical events in Israel, and musical director of the Israeli jazz label JAZZ972. He teaches arranging, harmony, improvisation, and saxophone. Harry Lipschitz, a member of the founding team, has served as Human Resourcesand Financial Director since the founding of Rimon School in 1985 until 2014. Since last year, he remains one of its visionaries, serving as a board member, and continues to lead Rimon to academic and administrative success. He also serves as a principal and as aboard member of several companies in Israel. Harry studied Finance in MidreshetRupin College and Psychology in MonashUniveristy, in Australia. In the 80s, he was Treasurer and Head of Human Resources at Kibbutz Kfar-Hanassi. Creatively, song writing is at the core of Harry’s world, and he’s served as creative co-producer and artistic advisor on many projects, including co-founder and friend Yehuda Eder’s first album, “Dear Mr. Grossbard” in 2007. His many other projects include works with the Hed-Artzi record company,Gali Atari, Ariel Harowiatz, RonitShahar, Alon Eder and more. Harry is married to Shlomit and is a proud father of three daughters and three grandchildren. One of the Rimon founding five, Guri Agmon is an accomplished saxophonist and clarinetist, composer, arranger and producer. Guri has studied with Phil Woods and Dave Liebman and he holds a Master’s degree in composition. He composed original music for the theater. His arrangements were commissioned and recorded by most of the orchestras in Israel and by many popular singers. 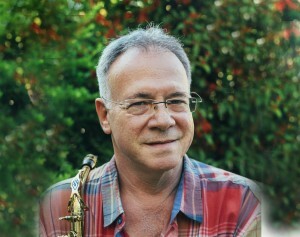 He is the conductor and musical director of the Holon Big Band. He has performed as saxophone soloist with the Israel Camerata and as a sax player with all the orchestras in the country. He is active as a composer, arranger and sax player in many jazz combos. He is one of the founders of the Rimon School of Jazz and Contemporary Music andhas acted as its academic director. 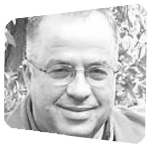 He is a senior lecturer at Rimon, as well as a member of the management and the academic committee.